On-deck entertainment courtesy of The Chair. Photo: Lieve Boussauw. 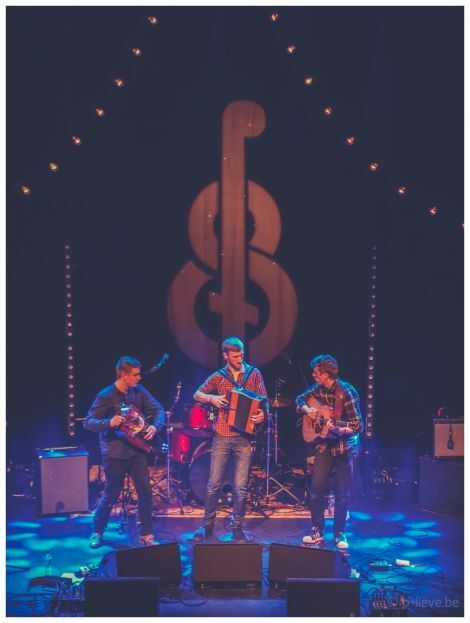 ORGANISERS say ticket sales at the 37th Shetland Folk Festival exceeded expectations, with a cumulative total of around 7,500 concertgoers over the weekend. Committee member Louise Johnson said numbers were higher than in recent years, with around 6,000 tickets sold along with many hundreds flocking to non-ticketed events such as two free events on board the Statsraad Lehmkuhl sailing ship and an early years concert. She said the committee were overwhelmed by “the amount of comments from the visiting bands on how lovely they find Shetland and the Shetland people – we get that feedback so much and it makes us really proud”. “Audiences are so respectful and we’re really grateful to them, and we hope they continue to support the festival,” Louise said. One of her highlights was young Prince Edward Island trio Ten Strings and a Goat Skin discovering that they had won an East Coast Music Award back in Canada for roots/traditional recording of the year. 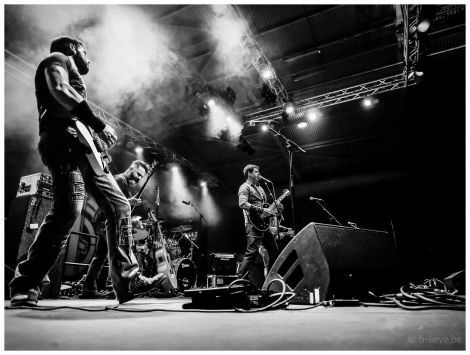 The bilingual three-piece won the award for the album Auprès Du Poêle, produced by Leonard Podolak – who coincidentally was also in Shetland for the festival, playing with the band New Road. Syrian singer and musician Maya Youssef, meanwhile, offered real poignancy given the humanitarian travesty that continues to befall her home country. “The tune she played about bombs turning into roses, about a dream that she’d had, and how she spoke about her family – people that she knows and loves back home… it was just really poignant and everybody seemed to sit mesmerised by her set,” Louise said. 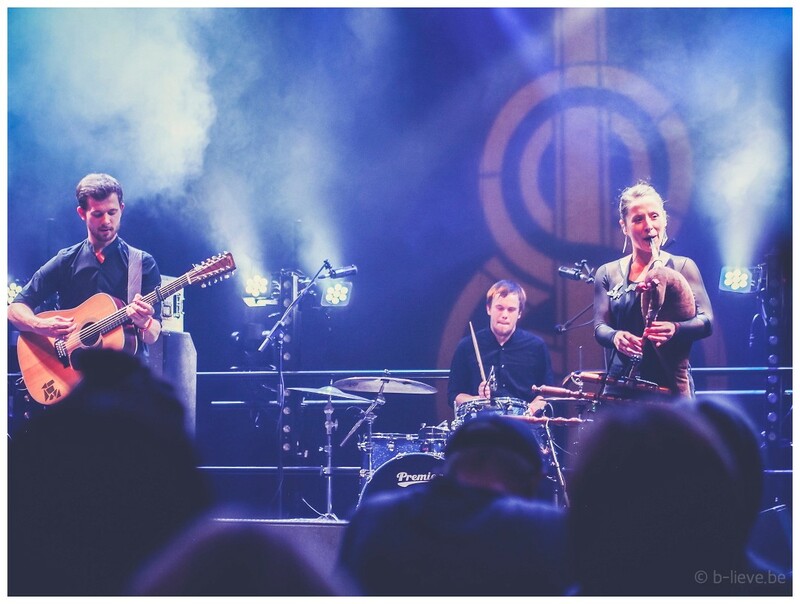 While not traditionally a lover of the bagpipes, she also “absolutely loved” the Scott Wood Band, as well as being wooed by the harmonies of American bluegrass outfit The Lonely Heartstring Band and roots duo The Lowest Pair. She said live music on board the Statsraad Lehmkuhl was something the festival would be keen to repeat if the boat’s owners are interested. 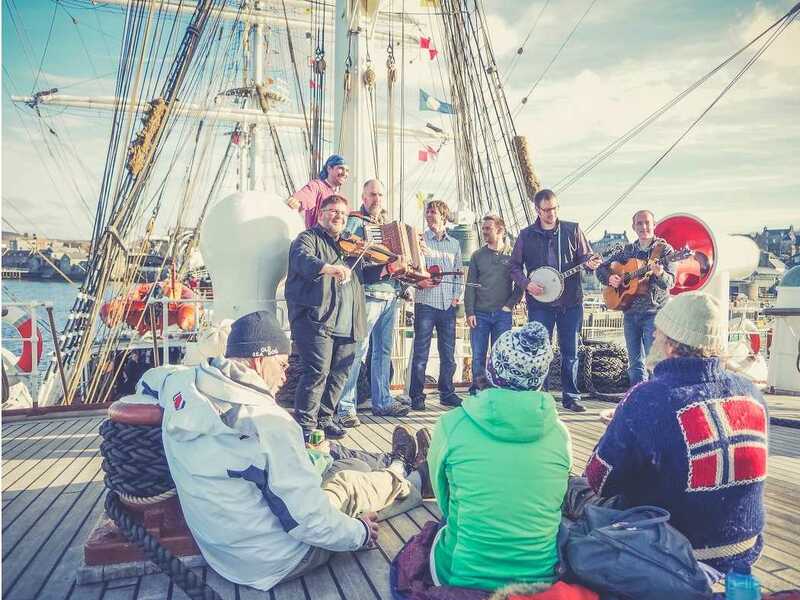 “All the feedback from the committee and visitors was that it was an absolutely fantastic experience, everybody just loved the informal atmosphere, and all the little touches – the ship’s crew had made Bergen fish soup, Norwegian beer for sale – and a lovely atmosphere, and fine to have something different. Around 800 people attended the two unticketed events on Friday and Saturday afternoon and, while admittance was free, donations on the door raised around £2,000. That comes as a “huge boost” for the festival, which is contending with gradually reduced grant funding from Shetland Charitable Trust and also uncertainty over long-standing sponsorship from BP, which is selling its stake in Sullom Voe Oil Terminal. “We’re going to have to put more of a focus on increasing sponsorship from local businesses if at all possible,” Louise said. Ticket prices have risen by £1 this year, but still remain very reasonable in comparison to other festivals, while festival memberships have been frozen at £15 for several years. Monday night’s Final Fling gives the voluntary committee a chance to let their hair down. Although more than half the visiting acts will have left to resume touring the globe, “the Americana contingent’s all still here, and a few others”, and Louise said she “can’t wait” for the final night of partying at this year’s festival.